08/29/2010 UPDATE: Congrats to Curious Pictures on their Bored to Death Emmy win. 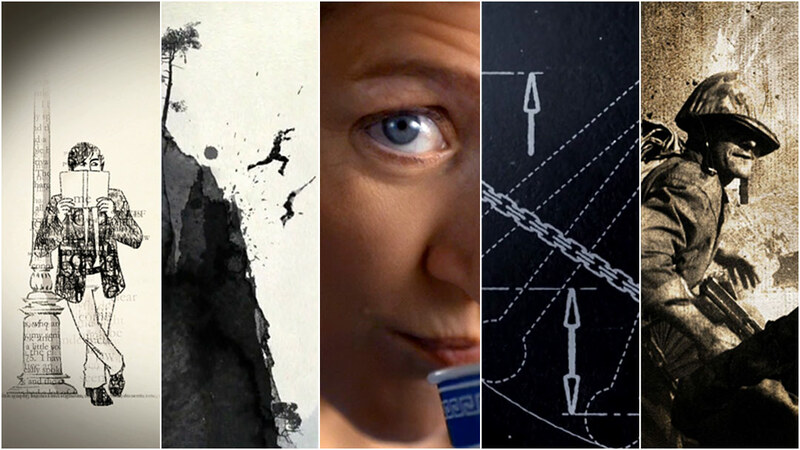 The 2010 Emmy nominations for "Outstanding Main Title Design" have just been announced and feature an excellent selection of work from studios both large and small. Imaginary Forces has three sequences in the running this year - Human Target (creative direction by Karin Fong), Nurse Jackie (Steve Fuller & Mark Gardner) and the recently featured The Pacific (Steve Fuller & Ahmet Ahmet). From Shine, and creative director Michael Riley, comes the title sequence (as well as additional animation work) for HBO Film's Temple Grandin which also received an "Outstanding Lead Actress" nomination for Claire Danes. Finally we have one of our featured favorites from last year, Bored to Death, with design and direction from Tom Barham of Curious Pictures and illustration work from Dean Haspiel.